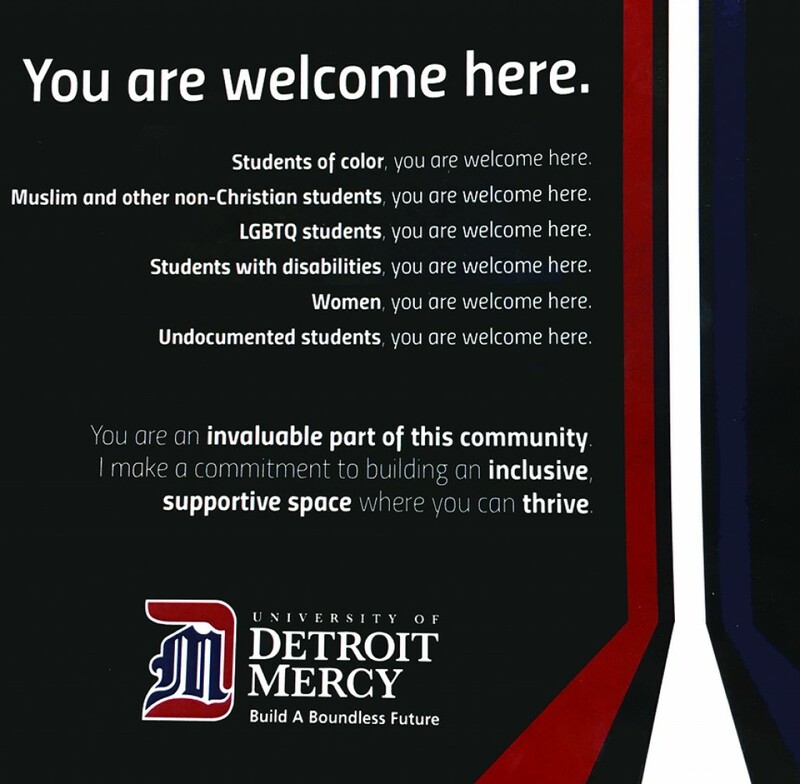 An effort to let Detroit Mercy students know that they are welcome has given some students pause. At the start of the semester, flyers were posted on campus by faculty members, focusing on a “You are welcome here” message and highlighting different groups by name: students of color, Muslims and other non-Christian students, LGBTQ students, students with disabilities, women and undocumented students. Some noticed that by process of elimination white Christian men were the only students not listed. The campaign has drawn mixed reviews. Mijai Lewis, a junior minority student majoring in digital media studies, believes that highlighting specific groups on the flyer is counterproductive. For Jonathan Szpytman, a graduate student in the physician assistant program, not being represented on the flyer evokes feelings of disappointment and consideration rather than anger. Detroit Mercy President Antoine Garibaldi said the flyers are part of a larger campaign, which began after the election of Donald Trump, who many view as having encouraged bigotry. Garibaldi sent out an email in November to all faculty and students emphasizing that Detroit Mercy is a place where all are welcome. He and staff members felt the message was necessary after sensing a change in the mood of students on campus following the presidential election. 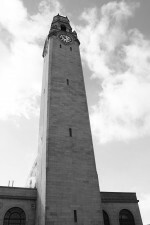 “A good number of us were interacting with students who are international students; undocumented students, (who were) wondering if they would be able to continue their education; students from the LGBT community; students from the Arab-American community, which we have a lot of; and really just students of all races,” said Garibaldi. Garibaldi said he was not dismayed by the change on campus as he noted that diversity and inclusiveness are part of Detroit Mercy’s distinct identity as a university – from welcoming immigrants, first-generation students, and those who don’t have a lot of resources. It’s a long tradition, he said, noting, for one example, that the university accepted women into its law program before they could even vote in America. Many students appreciated the flyer. Senior business major Dhruv Patel said he believes that faculty and administrators always strive to make sure that things are the best they can be for students. Patel thinks that because the university is a Catholic school and men have traditionally not been the target of discrimination, there is no need for them to be highlighted on the flyers.